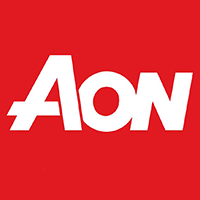 Aon Canada offers a range of sophisticated advisory and consulting services in risk control and risk management, reinsurance, and human capital. We design, structure and implement solutions that may involve traditional insurance products or risk-transfer programs, alternative financing techniques, or entirely new products to address a specific problem. For your human resources needs, leverage our expertise in the areas of health and benefits, compensation, retirement, talent strategies, and communication to improve just one aspect of your human resources strategy, or draw upon our entire spectrum of services to create a comprehensive human resources program that meets all of your organization's needs. Our services can be as broad as developing human resources strategy for a major multinational, or as a specialized as providing leadership succession planning for a small organization.